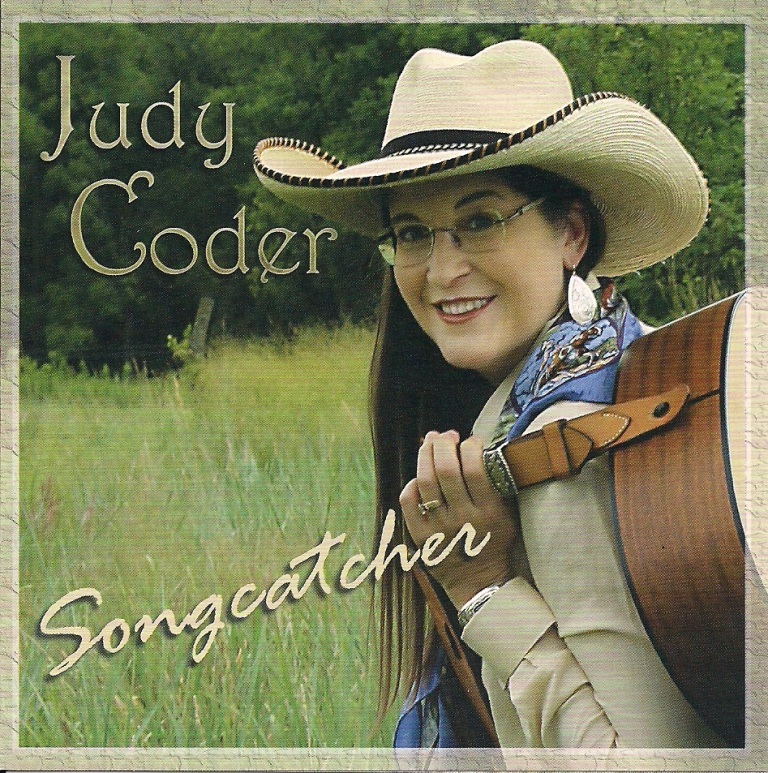 Judy Coder has a new CD out…Songcatcher! It’s classic Judy Coder with her strong, clear voice and that incredible range and 16 tracts! She starts with a light hearted “Wringle Wrangle” (Stan Jones) and through all the rest to “Silver Spurs” (Diane Gillenwater & Cally Krallman) you will be thoroughly entertained. I really like Judy’s “Butterscotch Moon”; “Cottonwood Waltz” (Ron Meier); “Red Buffalo” (Patty Clayton); “When It Rains” (R.W. Hampton); “She’s In Love With Her Horse” (Joyce Woodson); “Everything That Glitters” (Dan Seals); “I Didn’t Know The Gun Was Loaded” (Hank Fort and Hebert Leventhal); “He’d Be Home By Now” (Juni Fisher) “Thunderheads” (Robin Macy and Lisa Brandenburn)…ah, they’re all good! To buy this CD for your library go to http://cdbaby.com/all/judyco. For additional information go to http://judycoder.com. Thank you Judy for sharing your talent!